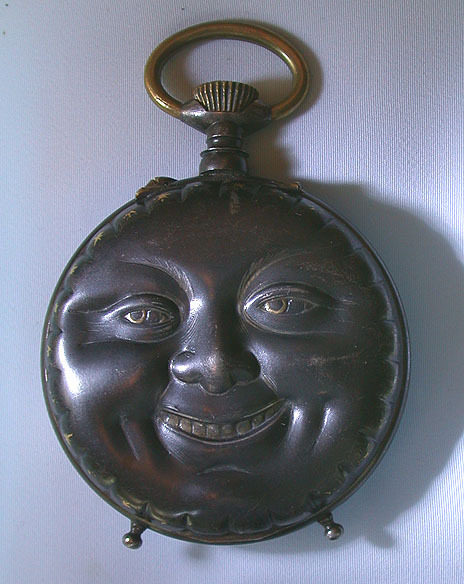 Fine and most unusual oversized Swiss gunmetal high relief man-in-the-moon antique pocket watch circa 1890. 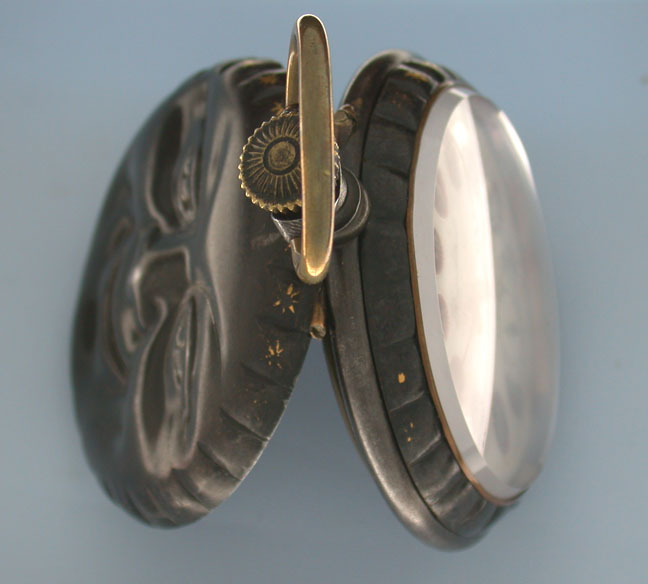 The case back with a wonderful moon face that has a folk art quality. 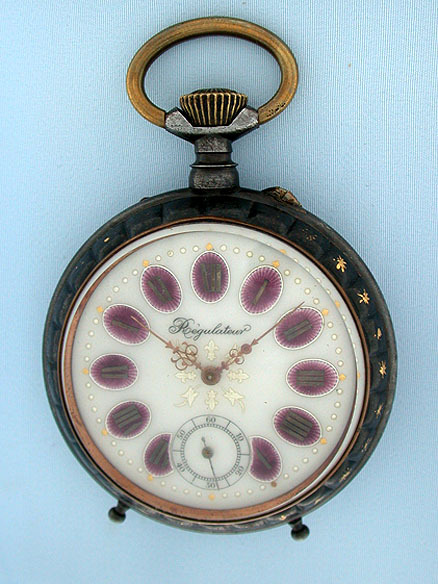 The dial with roman numerals against purple enamel backgrounds. 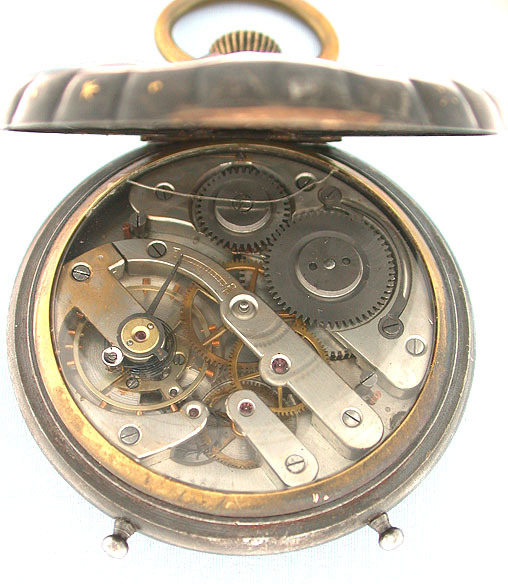 Good quality 15 jewel nickel lever movement. The case with feet so the watch can be used as a clock.